When I was in elementary school, I was placed towards the back of the girls’ alto section when we had chorus or practice for school performances. 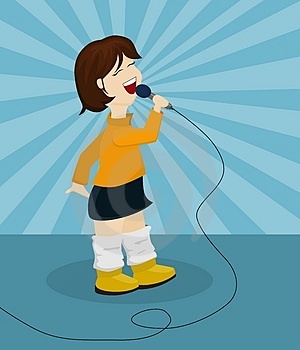 At that stage in my singing life, height was the determining factor in where you were placed. Progressing through junior high and high school, my height stayed pretty much average, but I found myself standing in the no-man’s land of vocal outcasts, a mix of lip-synchers and earnest-but-tone-deaf crooners. (People in this music-loving group grow up to be the people who belt out hymns in church, testing the charitable spirits of people in adjacent pews.) When public singing is called for, I’m an enthusiastic lip-syncher, mouthing the words to nearly every song I love.